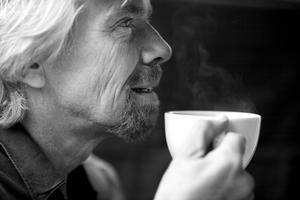 Virgin Atlantic is pleased to announce that it’s now offering Fairtrade tea and coffee to all passengers. The airline served nearly seven million cups of coffee and over five million cups of tea onboard flights in 2006 so a switch to these products will be a significant boost for farmers who are supplying the Fairtrade market. Following a series of blind tastings of a variety of Fairtrade teas and coffees, Virgin Atlantic will be offering passengers organic green and white teas from QI teas, a range of fresh and instant coffees by Costa Coffee and specialist supplier FFI UK and a range of organic and Fairtrade teas from Clipper. All of the products are sourced from several countries in Africa, Asia and Latin America. The move to Fairtrade products is in line with Virgin Atlantic’s business sustainability strategy, which comprises a series of initiatives, including providing more ethical, environmental and sustainable products, reducing the weight of its planes so that less fuel is used, and demonstrating biofuels in flight. In 2006, Sir Richard Branson pledged $3bn of Virgin Group’s profits and dividends from its transport businesses, including Virgin Atlantic, over the next ten years to develop clean fuel. Fairtrade is about better prices, decent working conditions, local sustainability, and fair terms of trade for farmers and workers in the developing world. By requiring companies to pay a fair price and an additional social premium, Fairtrade addresses the injustices of conventional markets which traditionally discriminate against the poorest producers. For more information log onto Fairtrade.org.uk. For further information about Virgin Atlantic, visit Virginatlantic.com.